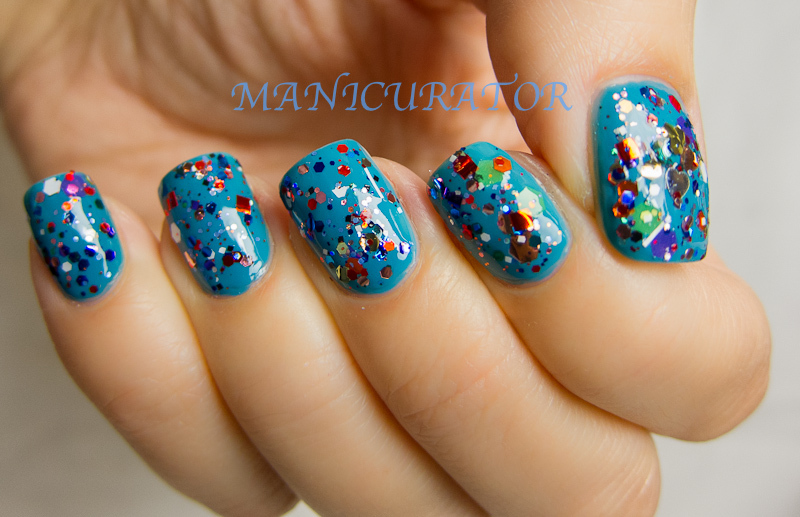 I stalled on posting this challenge, thinking I'd be inspired to do some "pool party" nail art. But I had already worn this base color, Bobbi Brown Turquoise (find that post here) and topped it with Utopia's Polish End of the Road. All I could think of looking down at my nails was how much the turquoise reminded me of a pool, and the top coat a party. And then it hit me!! 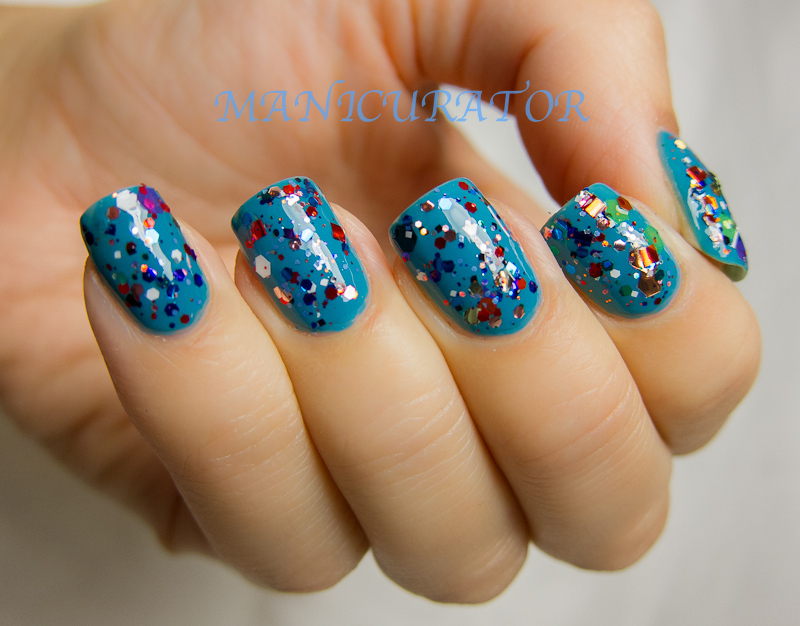 These are my "pool party" nails!! 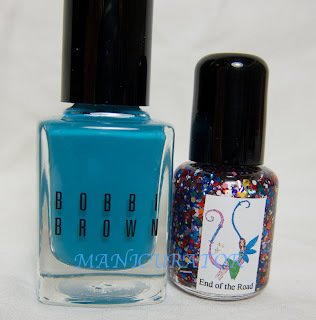 End of the Road is CHOCK full of too many colors and sizes and types of glitter to name. She says it is what she makes with all her leftovers. I say it's fabulous. 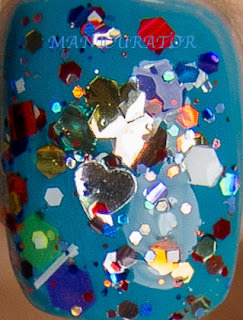 Only one issue..it does have some curling glitter, at least this batch did. 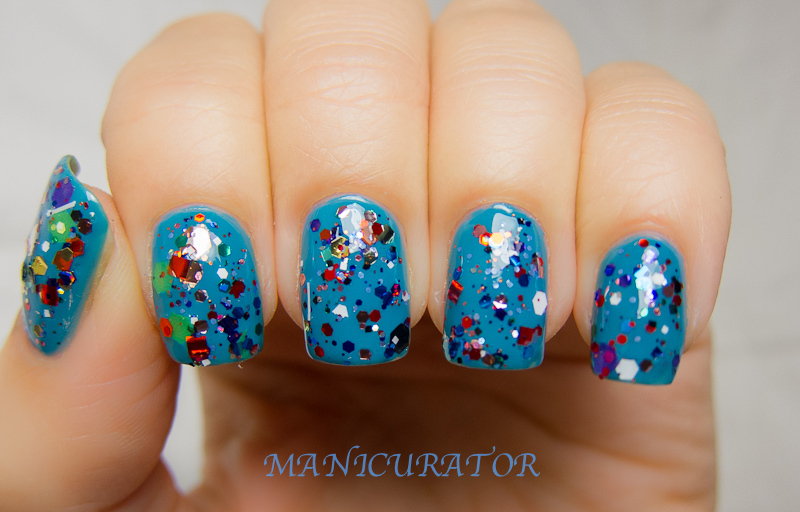 I used a thick layer of Seche Vite, and did both hands (that is rare these days) because I loved it so much. 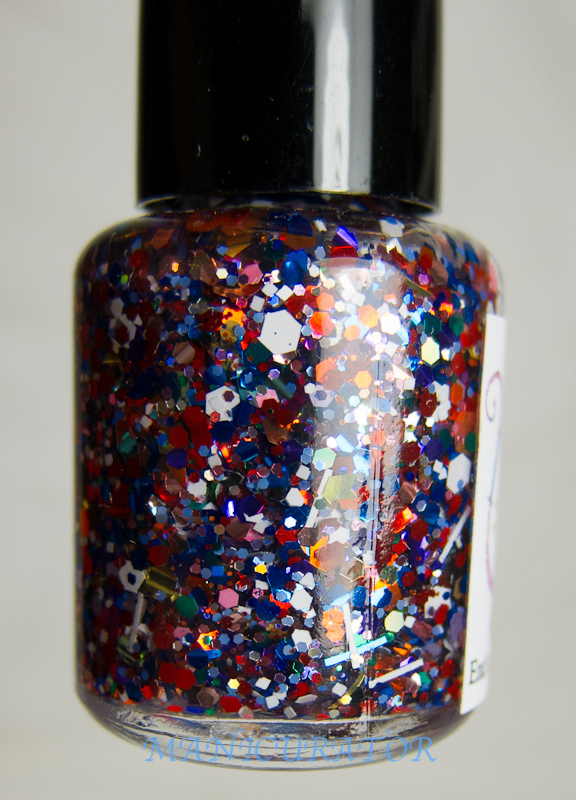 Shop for Utopia's Polish at her Etsy shop. 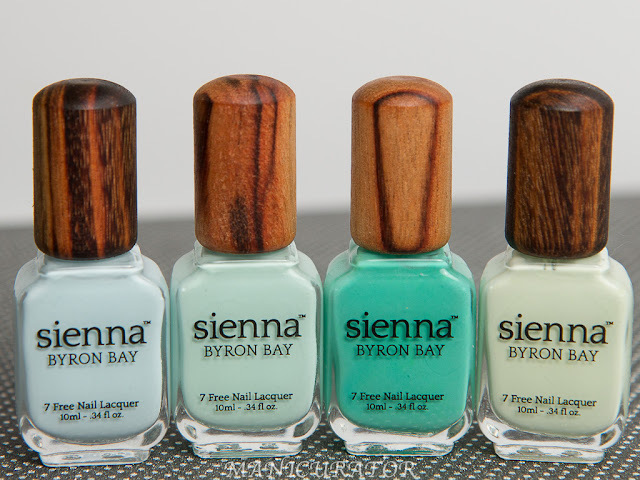 Each 15ml polish is $9, minis are available for $4.50. Bobbi Brown Turquoise, absolutely beautiful, used as the "underwear". I loved this combination and I loved that with every brush stroke of End of the Road, I never knew what was going to come out!! *DISCLOSURE* This mini bottle was sent to me for my honest opinion and review. Absolutely love this combo! :) So pretty! 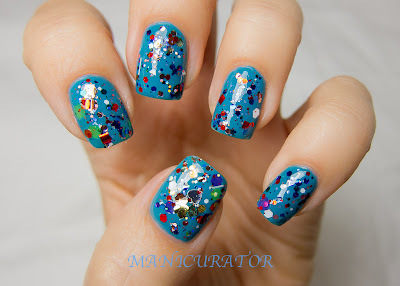 I absolutely love chunky glitters like this and the teal blue colour is gorgeous! 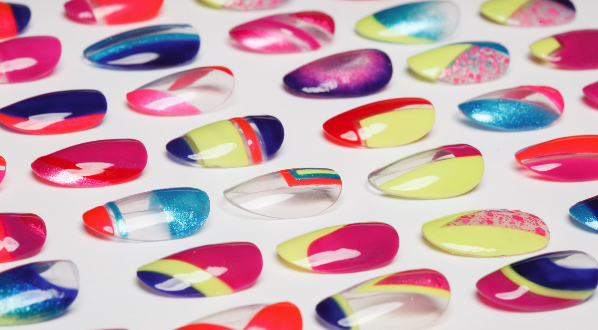 Loooove this manicure! Beautiful combo! End of the Road looks like it has every glitter imaginable in it. Very fun! Oh wow that's is just so pretty, i mean the fact that im a HUGR teal fan doesnt help lol....sorry it curls but so worth it. Gah, there is no way that polish could be any more awesome!